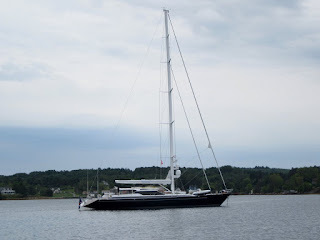 Friday August 26th was taken up by a walk to the mall to pick up a few supplies and completion of a few boat chores in between periods of rain. A brief crew meeting with Wings and Sir Tugley Blue to discuss the coming weather confirmed our plans for heading further south west down the coast of Nova Scotia tomorrow. The skies cleared out overnight and we awoke to a perfect day on Saturday. 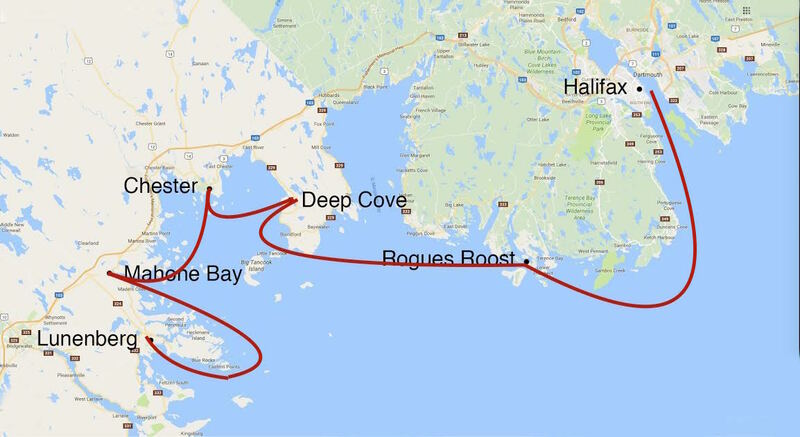 We were off to an anchorage called Rogues Roost, about 23 nautical miles away, in prime boating territory for Halifax boaters. 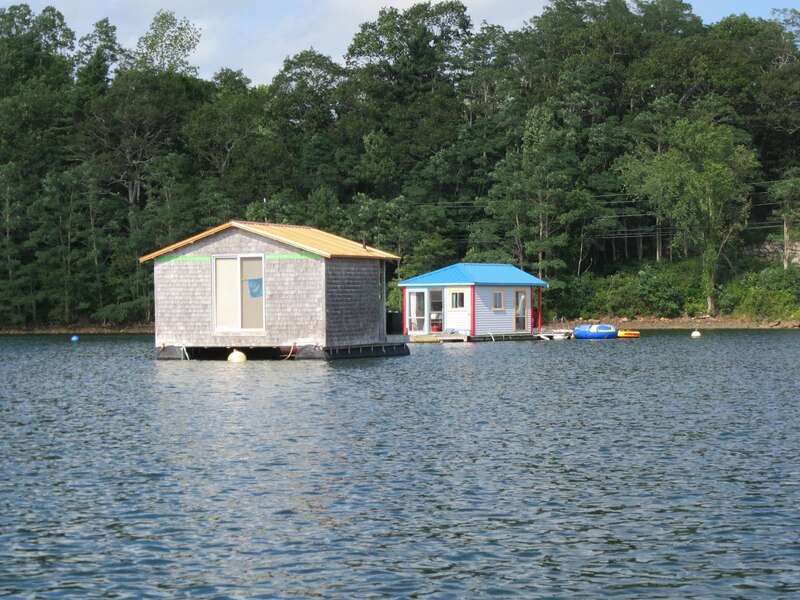 Rogues Roost is close to the village of Prospect and is very popular with locals. It is a beautiful and well protected anchorage, lightly forested with lots of low lying brush on rock strewn rolling hills. There were only two boats when we arrived, but by mid afternoon, there were over 15 boats in the anchorage and later, back down to 10 boats for the night. We enjoyed a beautiful afternoon and evening there and the dead calm overnight wind was perfect for sleeping. 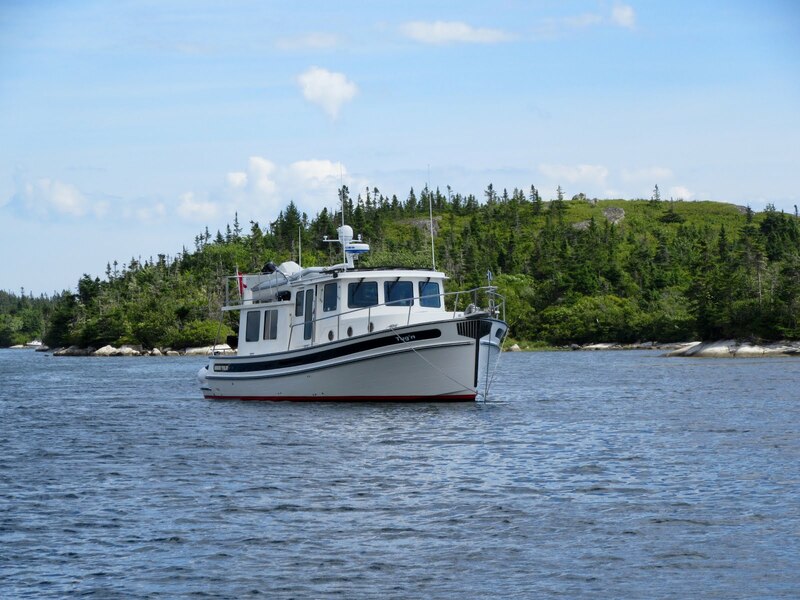 Sunday Aug 28th was another perfect day as we raised anchor preparing to head some 20 nautical miles across St. Margarets Bay to Deep Cove on Mahone Bay. Deep Cove was reportedly a hurricane hole where boaters like to head in bad weather and indeed it was. 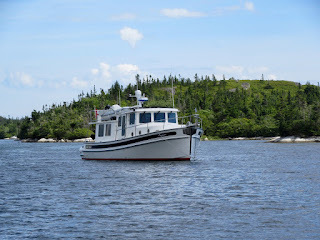 The one mile long cove has a narrow entrance, a long narrow channel averaging about 260 feet wide and a lovely basin at the end, surrounded by heavily forested hills. 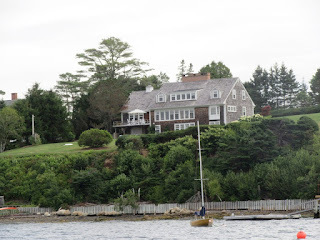 There are a number of great looking homes amongst the trees around the cove and numerous mooring balls for local boats, but there was plenty of room for our three boats to anchor. We had a lovely afternoon and after completing a few engine checks and maintenance items, we sat in the cockpit reading, watching osprey fly about and waving at boats coming and going. 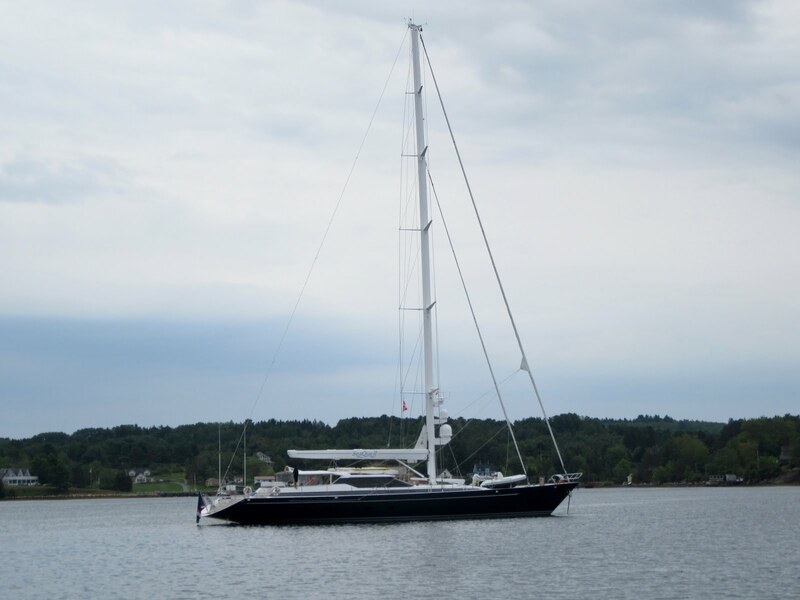 As former sailors and owners of a Nonsuch 30, we’d been surprised by the number of Nonsuch sailboats in Nova Scotia. There were two in Deep Cove and one of them, named Aristocat, was previously a Georgian Bay boat (from Lions Head up on the Bruce Peninsula) we’d made an offer to buy, in January, 1989. At that time, the owners decided not to sell her and we found another. But it was fun to see Aristocat here in Nova Scotia looking very well cared for. Monday August 29th. 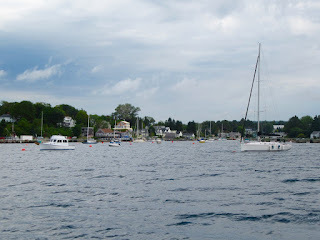 This morning was cloudy with 12 to 20 knot winds, but in the relatively well protected Mahone Bay, we headed off to Mahone Bay Town. En route, we did a “drive by” the very picturesque town of Chester. Chester was officially founded in 1759 during the French & Indian War, however, its first permanent European residents came from Massachusetts in 1761. During the American Revolution, Chester famously avoided a raid by American Privateers. The townswomen turned their red lined capes inside out to resemble uniforms of British soldiers and marched around the blockhouse in the early morning of June 30, 1782, successfully convincing the would be raiders at anchor to go and plunder another village. 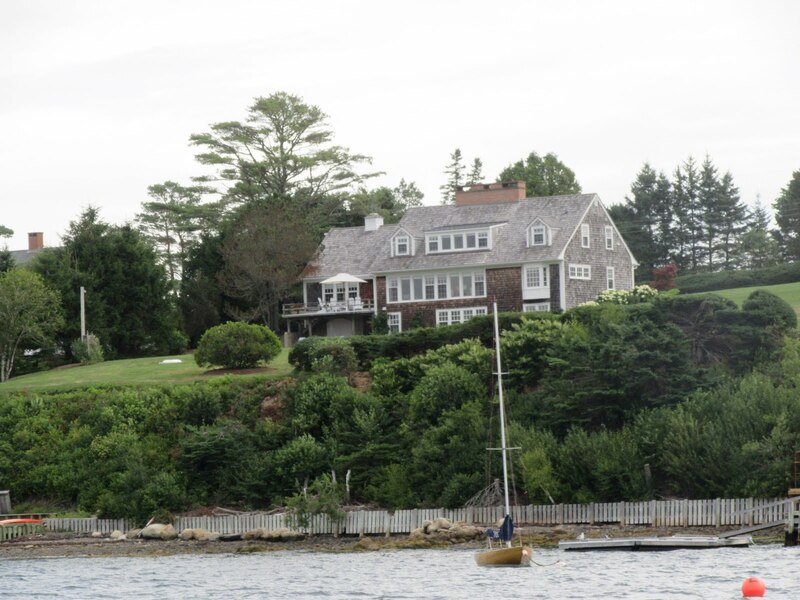 Today, Chester is filled with lovely Cape Cod style homes and it has become a sailors’ haven famous for its mid August “Chester Race Week”. The bulk of its summer residents are from New England and Chester is one of the wealthiest communities in Nova Scotia. 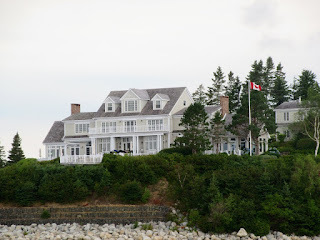 We arrived in Mahone Bay Town around noon and after anchoring, we met up with Bob and Jan from Wings for terrific lunch at Rebecca’s Restaurant. We always use a smart phone app called YELP to find good restaurants. So far, it has never let us down. 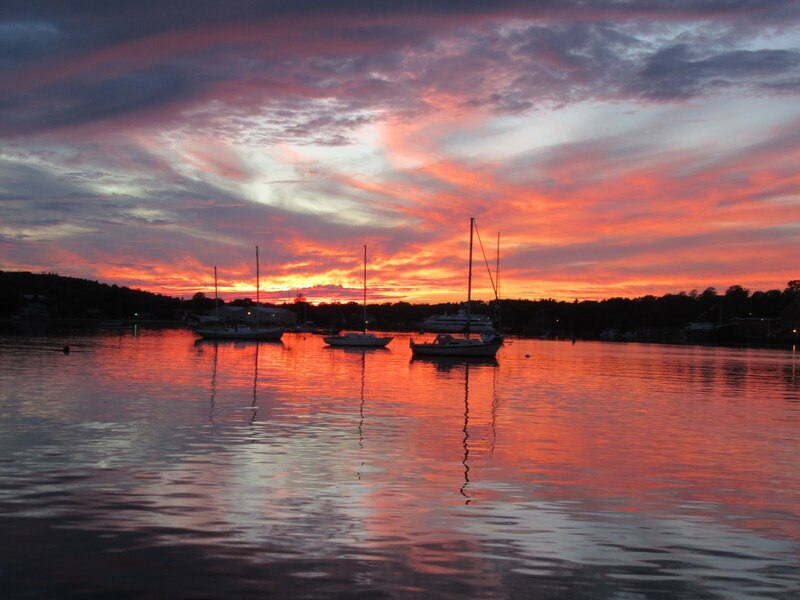 Malone Bay Town was also founded in the mid 1700’s and through the 19th century the town prospered with its wooden shipbuilding. 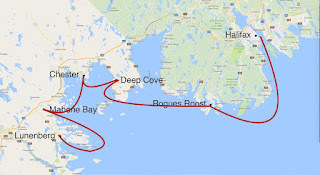 Later, its economy declined with the advent of steel ships and steam power, but during WW1 and WW2 Mahone Bay’s shipbuilding prospered again, building schooners, tugs and barges. Later, the town was known for production of its innovated moulded plywood boats. Today, tourism is its prime economic driver and we enjoyed the walk around town checking out its shops and boutiques. 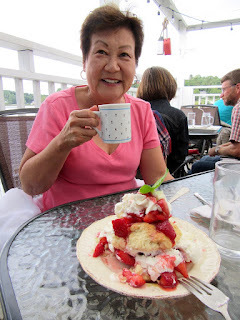 We shared this amazing Strawberry Shortcake!! August 30 & 31st. 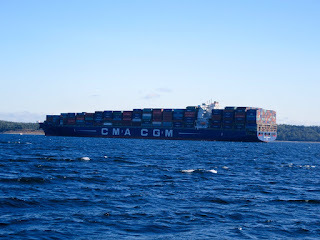 Today’s 25 nautical mile run to Lunenburg was easy and comfortable in quite protected waters. Well before we arrived, we spotted the famed Bluenose II sailboat out for some “man overboard” drills. 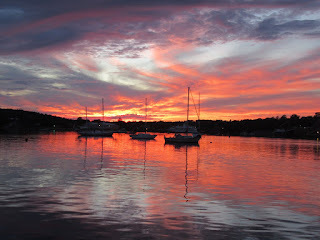 Shortly afterwards, as we turned at Battery Point the beautiful town came into view causing us to reach for our camera. 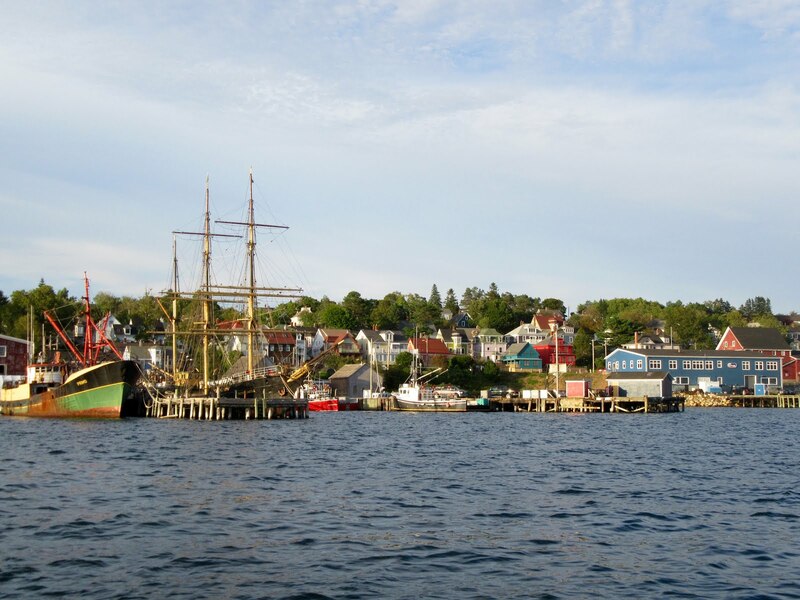 This famed town with its great history of fishing, shipbuilding and sailing, its harbour filled with many wooden schooners on moorings is stunningly beautiful. In 1995 it was designated an UNESCO World Heritage Site to preserve much of Lunenburg’s unique architecture. 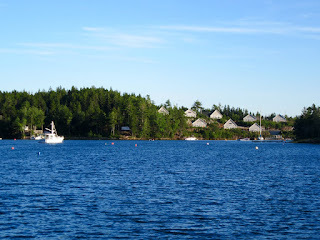 The village was founded in 1753 as one of the first British attempts to settle Protestants in Nova Scotia, intended to displace the Mi’kmaq and Acadian Catholics. 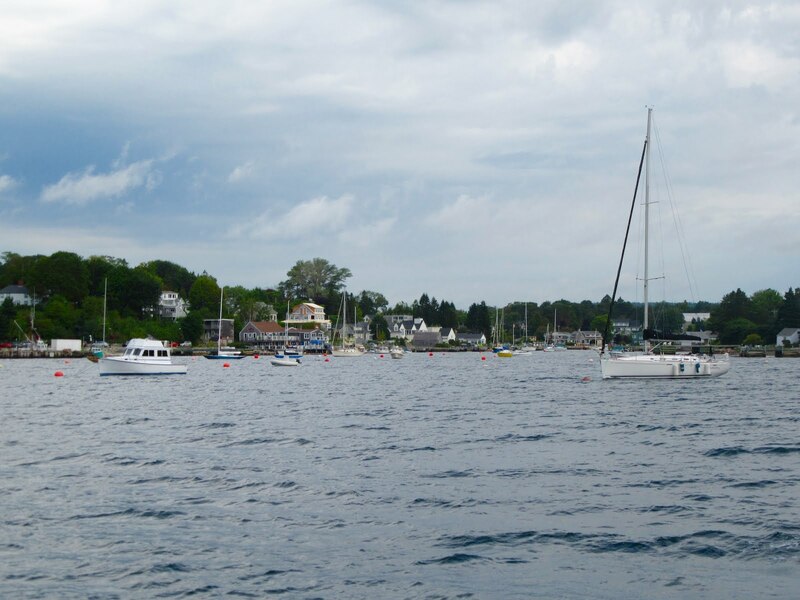 German, Swiss and French settlers were brought in to colonize Lunenburg and the surrounding area. 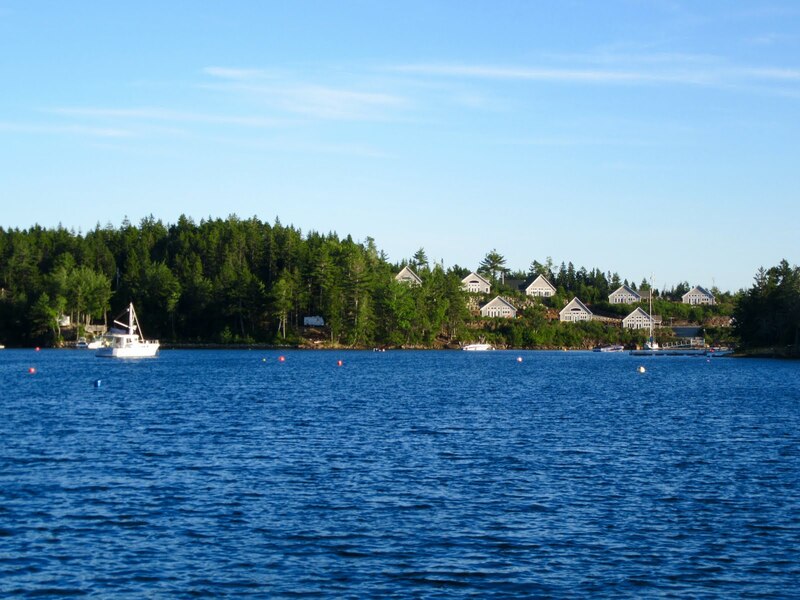 The British settlement posed a lasting threat to Mi’kmaq and their sovereign, traditional territory. The village was subject to numerous raids by Acadians and Mi’kmaq, unsuccessfully attempting to regain control of their territory from the British. 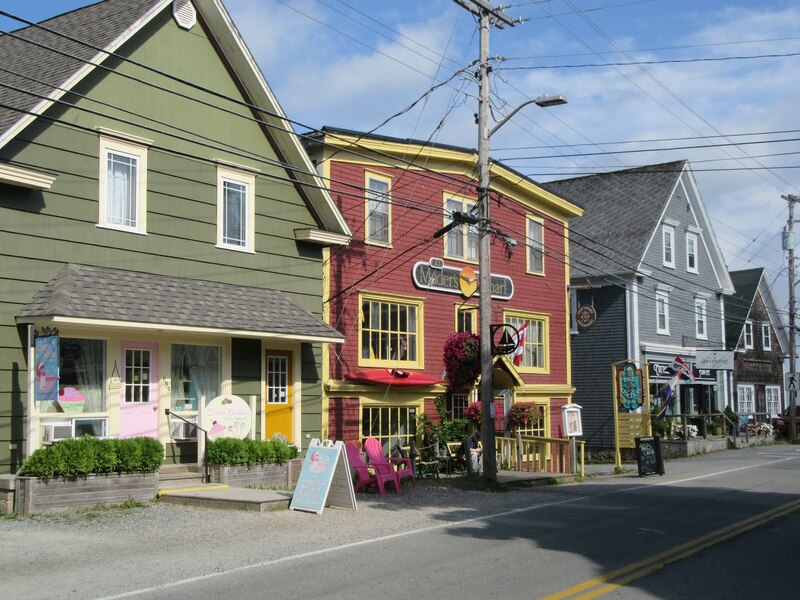 Today, Lunenburg continues to prosper through tourism, as a fishing port and boat building & boat repairs. We had a great visit to their wonderful Fishing Museum of the Atlantic that was staffed by former cod & scallop fishermen, captains and family of former fishermen. 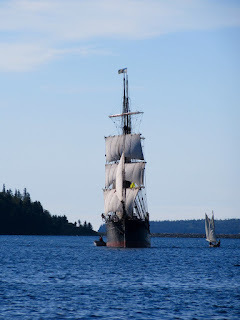 In the early days, schooners fished cod on the banks off Nova Scotia using hand lines with baited hooks over the side of the schooner. 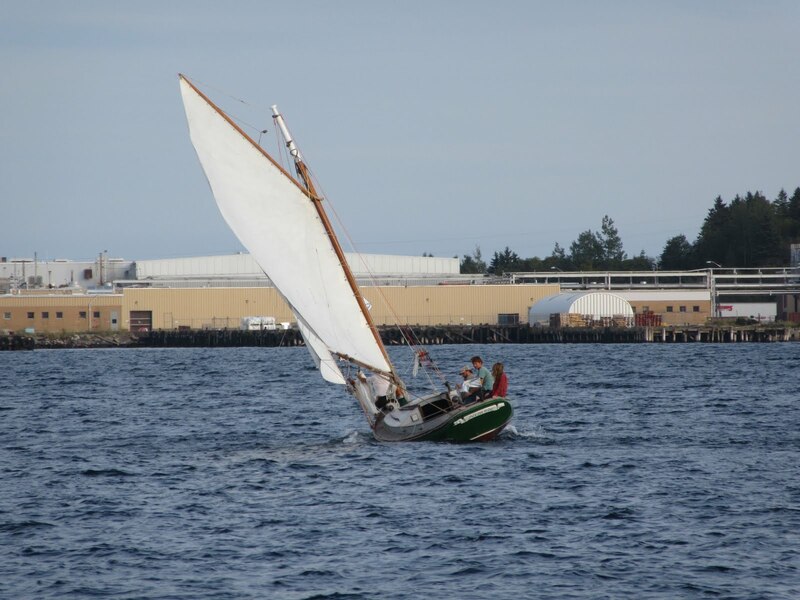 Later, dories were used to widen their coverage, with about 12 dories per schooner. Each dory had two fishermen who used hand lines with bated hooks and they were expected to fill the dory with about two tons of cod every few hours (about 100 fish at 20 pounds each). They’d row the dory back to the schooner and unload the catch by hand before heading off again. A fat rich diet kept the fishermen going through sixteen hour days in the often frigid conditions. Steam powered steel hull boats with side loader nets replaced schooners and finally, trawlers with stern loader nets were the final solution. Sometime later, the cod were mostly gone and long after it was too late to save the fishery, the federal government shut it down in 1992 putting some 40,000 fishermen and fish processing plant employees out of work. The nutrient rich banks off Nova Scotia and Newfoundland were a wonderful natural resource that provided an enormous bounty of fish for almost 500 years. When you see the historical photos of the enormous catches of cod it is so very sad that this resource was mismanaged by the industry and by federal and provincial governments. 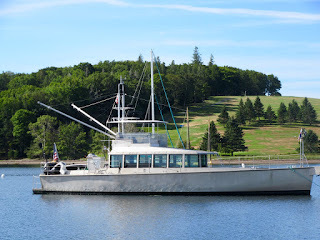 I spoke with a former engineer who worked on a side loader trawler fishing cod from the late 1950’s to the late 1980’s. 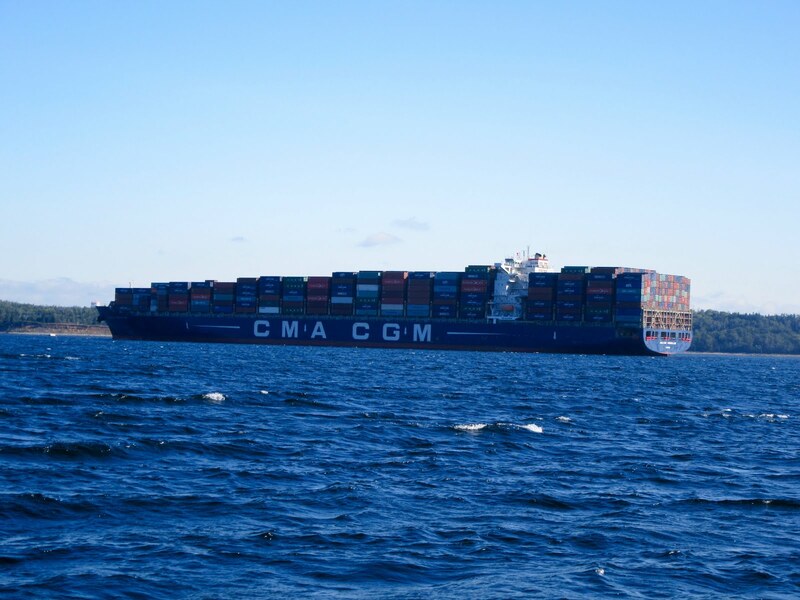 He talked about fishermen not being required to go out when winds exceeded 50 knots, but Captains had the right to overrule this restriction and often did, under pressure from the company owners to produce more. He said there are many names on the Memorial to Fishermen Lost at Sea due to vessels being out in very adverse conditions. 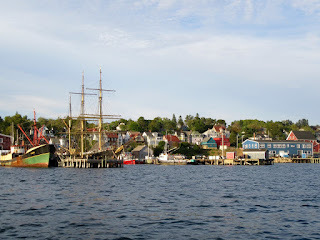 Lunenburg was of course, home of Canada’s most famous schooner, the original Bluenose that is on every Canadian Dime. 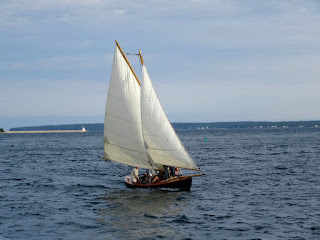 The original Bluenose was completed and launched in 1921 as a cod fishing schooner. 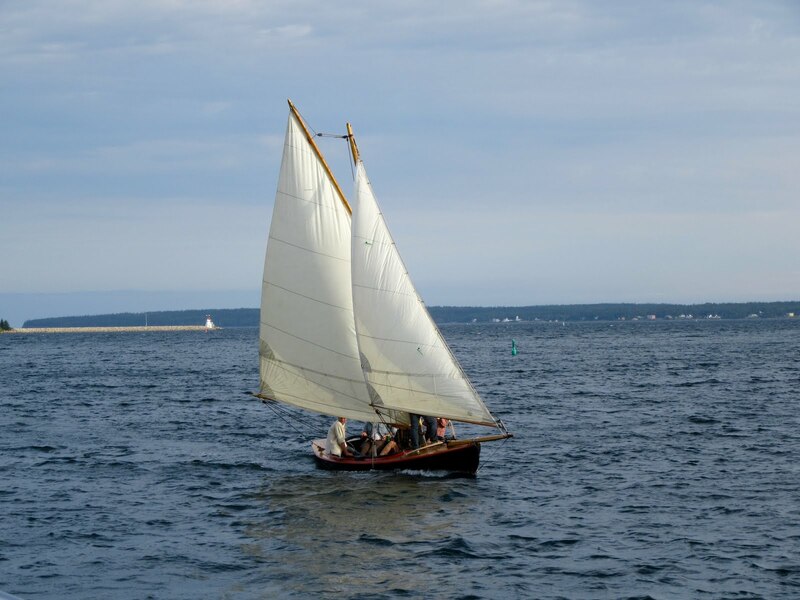 Annual sailing races were held with the fishing schooners and Bluenose regularly proved she was the fastest. 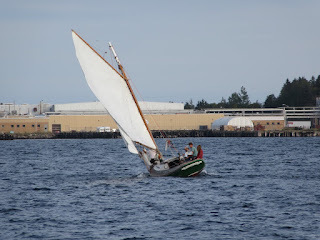 Bluenose won the last International Fishermen’s Trophy Race held in 1938. 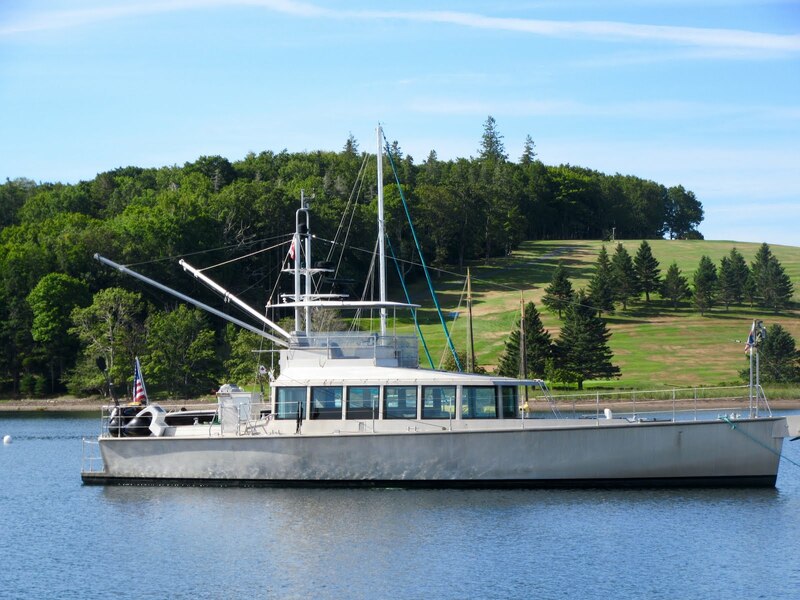 In 1939, former Captain Angus Walters bought her to prevent the sale of Bluenose at auction. Three years later, he sold her to the West Indies Trading Company as a freighter and in 1946 she struck a reef off Haiti and sank a few days later. 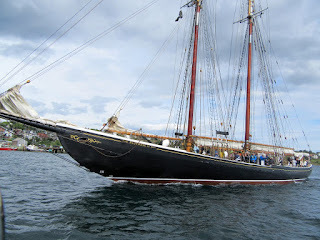 It wasn’t until 1963 that the Province of Nova Scotia built the replica Bluenose II to serve as a provincial attraction. Lunenburg is home to Bluenose II, who continues to perform her duties as a major tourist attraction around Atlantic Canada and the Great Lakes and four years after her rebuild in 2012 she continues to look as good as new. Lunenburg truly is a delightful town to visit with its great mix of restaurants and boutiques, its commercial harbour and dry docks for ship repairs, its fleet of traditional wooden schooners (that we saw enjoy a great Wednesday race night) and its colourful, well-preserved old-world architecture that fills the streets reflecting a strong European influence. It is one more highlight on our summer adventure! Steve Dashew design FPB64 (a favourite of mine).